Senior Living Housing Developer Selects 8x8 Business VoIP | 8x8, Inc. Thrive Senior Living doesn’t build traditional “assisted living” facilities; it develops state-of-the-art communities designed to keep pace with changing technology. To answer the demands of an increasingly social, tech-savvy generation, Thrive turned to 8x8 as its business phone provider. And by building in the necessary IT infrastructure as the buildings go up, Thrive ensures that its senior living communities can grow along with the latest technology. “By building in the bandwidth we need up front, we increase our asset’s value and avoid the cost of expensive retrofits later,” says Petty. Cutting through stereotypes to offer in-demand IT capabilities has become a signature selling point for the company. 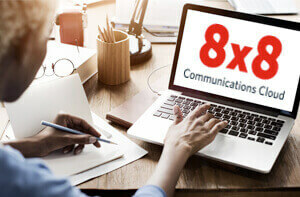 Thrive has turned to voice-over-IP (VoIP) communications provider 8x8 to help it manage its efforts to become a leader in providing communities that let seniors stay as connected and active as they want. Over the years, Thrive has worked with a number of IT consultants to design the infrastructure for its buildings, but Petty notes that some of these engagements have not panned out. That situation was remedied in 2012, when Thrive’s new vice president of operations, John Elliston, referred the company to Tazergy, a consulting group specializing in one-source, low-voltage solutions. 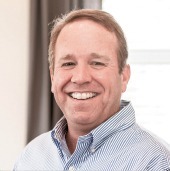 Tazergy President and CEO Matt Haywood immediately understood Thrive’s technology vision for its senior living communities, and the two companies began a close collaboration. We only want to work with professional companies, with proven track records that can represent our brand and set us apart in the industry. 8x8 is that kind of company. Haywood started by reviewing Thrive’s technology specs for two new communities that were being developed in Texas. One thing immediately caught his eye: the company’s VoIP telephony provider was not 8x8, a red flag to the technology veteran. 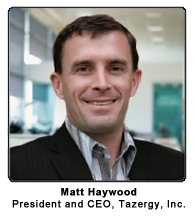 “As an IT consultant, I try to stay open-minded about clients’ technology choices,” says Haywood. “I wanted to give the other VoIP phone system a fair try.” But it soon became apparent that Haywood’s concerns were well-founded. The non-8x8 phone system did not provide the functionality that Thrive requires for its multi-state offices. Thrive installed 8x8 Virtual Office Pro at its corporate headquarters in Atlanta, and 8x8 Virtual Office at its community offices. Right away, Petty and his team noticed the improved functionality. 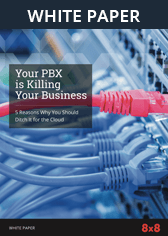 “8x8 is a great example of leading-edge business VoIP technology,” says Petty. “I can pick up my office phone in Georgia, dial four digits, and be connected to one of our offices in Texas. If I need to move a phone, I just unplug the cable, then plug it back in at the new location, and it works!” Dispersed, Mobile Teams Work as One Easy extension dialing and corporate directories for each community are more than just a convenience for Thrive employees. According to Petty, they have also helped with team building throughout the company. “Being able to reach someone by dialing their extension means they are just four digits away. That accessibility creates close connections between headquarters and our community offices.” 8x8 Virtual Meeting web conferencing is another popular feature at Thrive. Employees at Thrive’s Atlanta headquarters, where Virtual Office Pro is installed, can schedule web meetings from their browser or directly from Outlook using 8x8’s free downloadable plugin. In addition to providing advanced VoIP features, 8x8 has significantly reduced Thrive’s telephony costs, and streamlined the sales cycle for its communities. Whenever Thrive begins a new development, the company opens a temporary sales office inside a trailer, and starts the pre-sales process by distributing flyers and displaying billboards with a unique telephone number dedicated to those leads. In the past, the company had to purchase and install expensive premises-based phone systems for its temporary offices in order to hook up actual analog lines. Then Thrive had to wait for the phone company to assign new phone numbers. With 8x8, the wait—and expense—are over. Now when Thrive opens a new temporary sales office, 8x8 can immediately assign a new virtual number for sales leads. Other than an Internet connection, no other equipment needs to be installed. The virtual number appears on the company’s pre-sales literature and billboards. Initially it goes to a dedicated voicemail box, where leads are captured for later follow up. 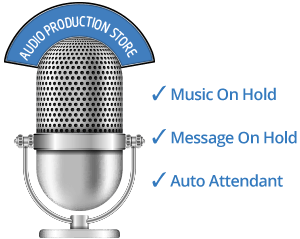 When the active sales cycle kicks off, the number is reassigned to a ring group for live answering by a Thrive representative. 8x8’s mobile app for iOS and Android devices has also come in handy. A frequent traveler, Petty often uses the app to make and receive business calls on his iPhone and his iPad. Petty recently left his iPhone behind in an airline terminal and made creative use of his Virtual Office Mobile app on his iPad to retrieve it. As heavy smartphone users, both Petty and Haywood appreciate the value of the mobile app. Haywood uses the app on his Galaxy S3 smartphone. Petty often uses his iPad for longer conference calls when his iPhone needs to recharge. In fact, Petty now generally prefers using his iPad for phone meetings. Thrive now operates six senior living communities and has nine more under construction. All of these communities—along with Thrive’s welcome centers and corporate offices—rely on 8x8 unified communications. Along with constructing new communities, Thrive has received numerous requests to manage existing ones. According to Petty, 8x8 will be included in those third-party partnerships. Most Thrive communities are located in the southern U.S., and area prone to major storms. A major benefit of 8x8 is built-in disaster preparedness. Each Thrive community has an “emergency” cell phone. If for any reason the 8x8 phones go down, incoming calls are automatically routed to the emergency cell phone number. Asked what he would say to other senior housing providers interested in moving to the cloud, Petty immediately brings up his partnerships with 8x8 and Tazergy. “8x8 is an important part of our IT strategy moving forward, and we don’t pick our vendors lightly. We only want to work with professional companies, with proven track records that can represent our brand and set us apart in the industry. 8x8 is that kind of company,” says Petty.